Founded in 1993, I Care San Antonio focuses on the difference one person can make in the lives of others. 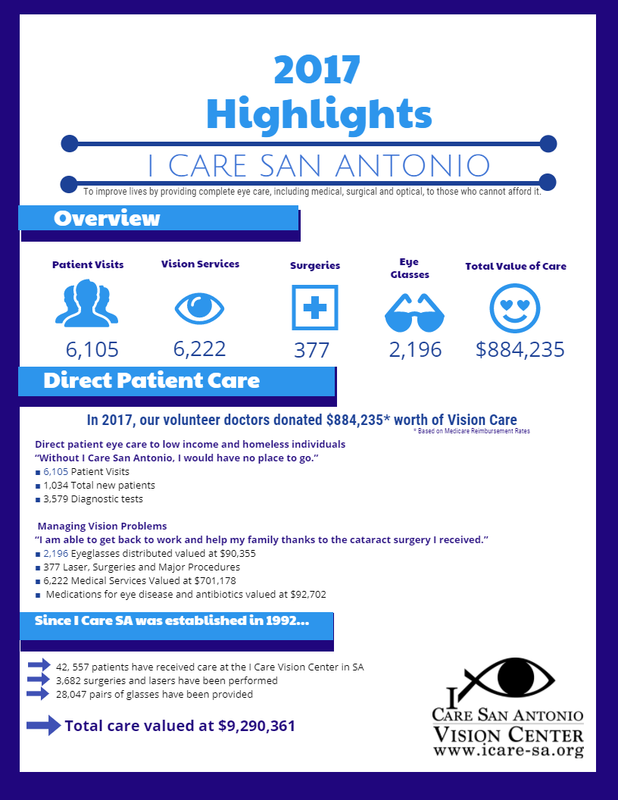 The vision of I Care San Antonio is a community that shares the love of Christ and provides access to compassionate, quality eye care to all. Develop relationships and partnerships to further our mission.